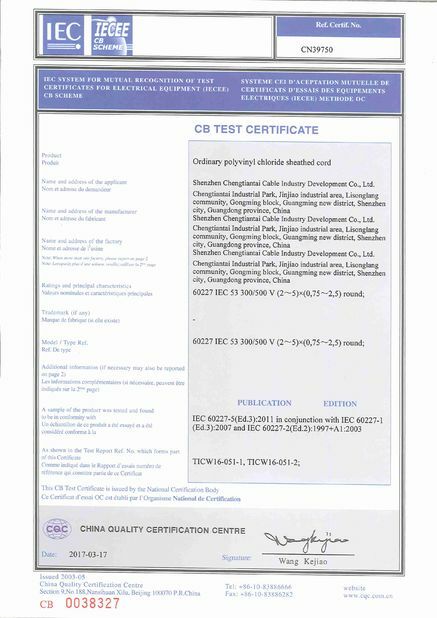 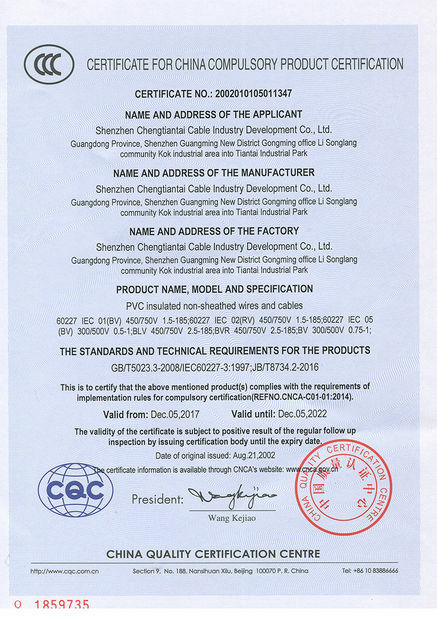 Shenzhen Chengtiantai Cable Industry Co.,Ltd.(C.T.T.) 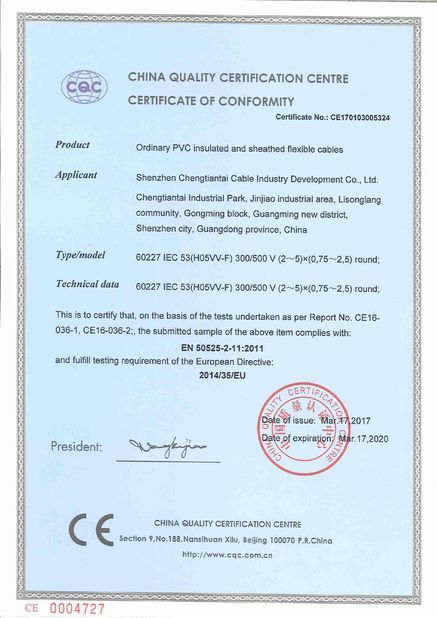 pays high attention to cable quality from incoming raw material to finished products. 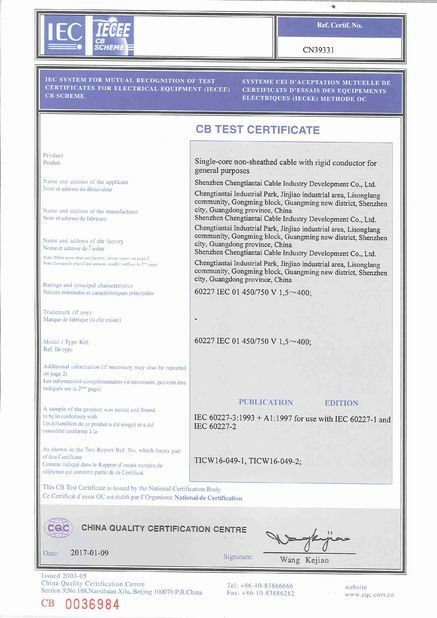 Our staff in Quality Control Department not only execute strict QC rules during cable production, but also train staff and help them understand the importance of QC before they work on production lines. 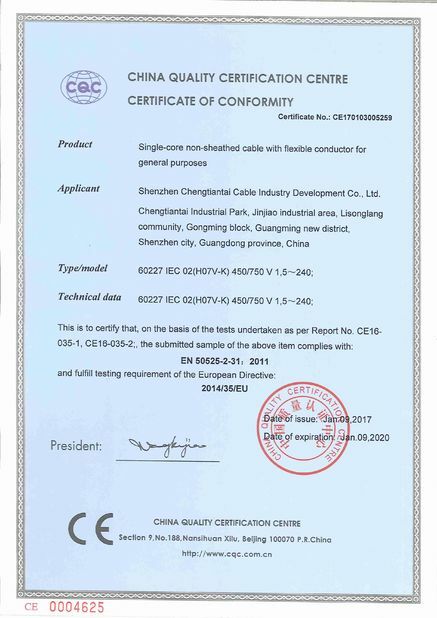 To meet the quality standards of our customers home and aborad. 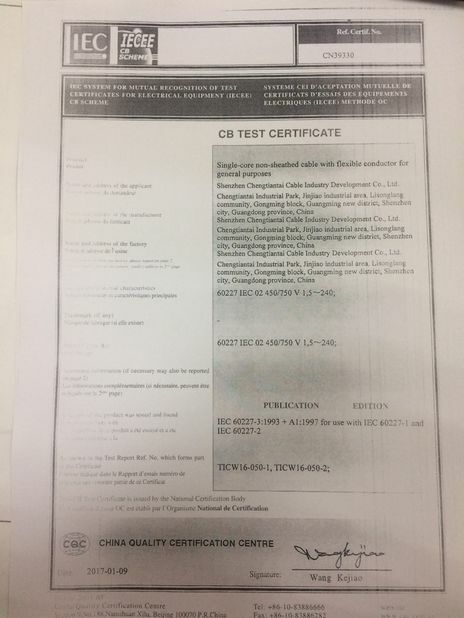 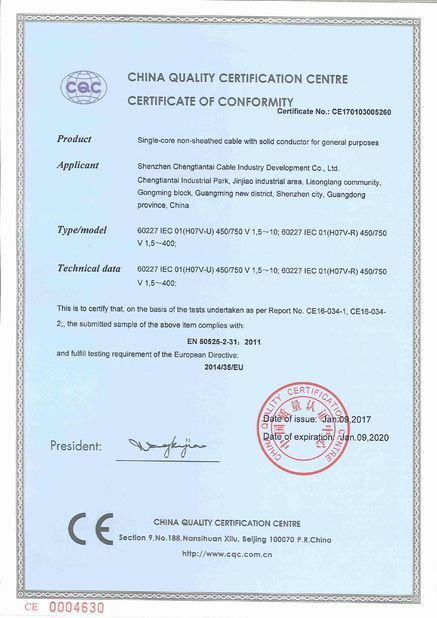 Our Quality Control Department are well equiped with all kinds of inspacttion testers such as SIKORA curing optimazation software, Partial discharge detector, Cross section projector, Tensile machine, Flame tester, Aging box, Winding Tester, Resistivity Tester and so on.